Capture a just-off-the-grill taste for your meats and poultry with this Regal Foods liquid smoke! 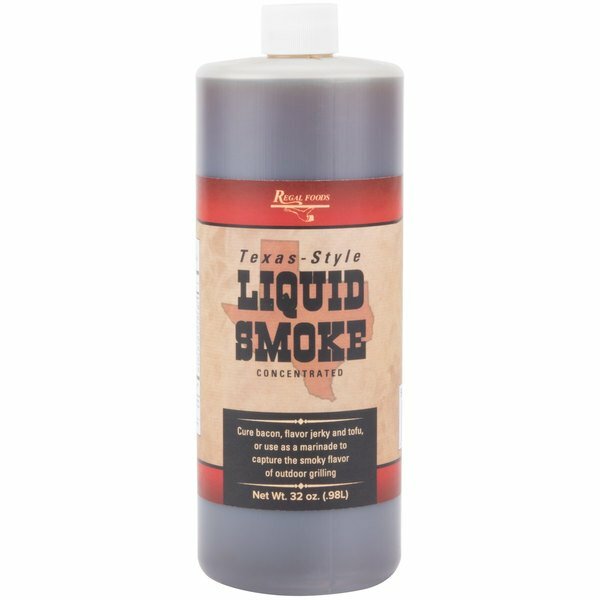 Regal Foods offers quality products at a great value, and this economical quart supply of liquid smoke will keep your restaurant, bar, or event well-stocked. Just a small amount of liquid smoke will impart strong smoky flavors in your beef, chicken, seafood, tofu, and vegetables. Create your own signature barbecue sauces, or let it soak into flavorful marinades and glazes. "We have been enjoying the Regal Foods Liquid Smoke in BBQ sauce, dips, and chili. You get a huge amount for less than the local wants for a small bottle." Liquid smoke is a liquefied form of imitation wood smoke that rivals the flavor produced from a real smoker. This products features a Texas-style flavor from hickory and other hardwoods to help you bring out the robust flavors of outdoor grilling in your indoor oven! Perfect for your barbecue restaurant or bar and grill, it brings a char-grilled taste to your tender and juicy meats. Use liquid smoke to enhance your ribs, sausage, and chili with a deep hickory flavor, or use it to cure bacon. 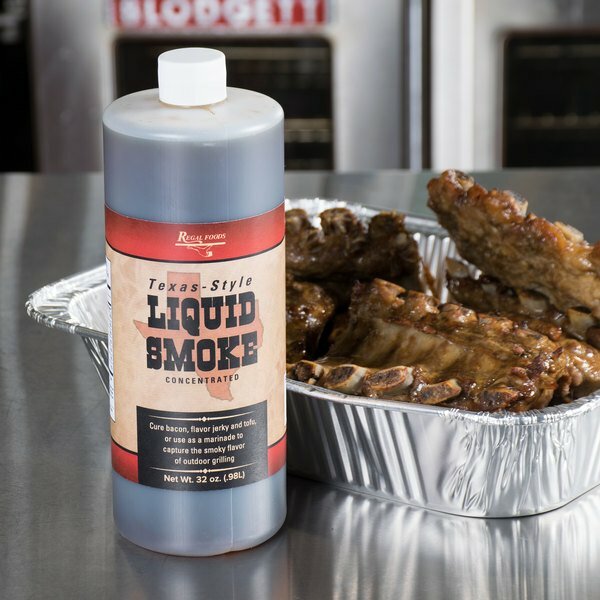 This quart container of liquid smoke will last for multiple recipes and makes it easy to add the smoky flavors of outdoor grilling that your customers crave! Plus, a resealable cap allows you to easily open and close the container as needed. Regal Granulated Onion - 5 lb. Regal Celery Salt - 16 oz. 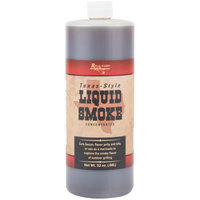 This is a heavier "Texas-style" of liquid smoke, great for beef bbq and heavier sauces. The flavor is intense but clean. The price is really great for such a large amount. It will last a long time, but I will definitely re-order when the time comes. Good Stuff! Been using this for 5 or 6 years now & recently ran out & subbed another product from my regular supplier. Ate some ribs last night & noticed they weren't as good as usual. This smoke adds a delicious flavor & aroma. Ordered more today! Such a great liquid smoke! I use it for my ribs to add that flavor!! Only use a little as it is concentrated. Great price for a great product! I bought this bottle of liquid smoke to use when making beef jerky. I found that fresh smoke on the jerky is overwhelming. This liquid smoke adds the flavor I was looking for. This product is awesome, it has a great flavor and the price is amazing as well. We use this in a lot of our dishes and helps us deliver a great product. It ships fast, dry and undamaged. We really like biscuits quart size. Normally you see this in the 1 gallon jugs. Many times that's just way more than what we need. The quart size seems to fit us better and is a nice alternative. 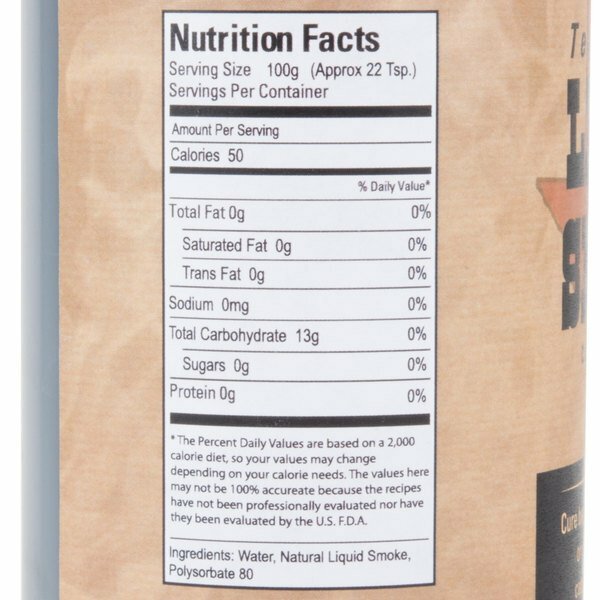 Regal foods Texas style liquid smoke 32oz. Smells just like a smoke house or camp fire. Perfect with brisket, beef jerky, you name it. The taste is fantastic. Be careful. It is concentrated. It's hard to believe that this costs about as much as the tiny bottles in a grocery store, but is just as good. I find that I use more than recipes call for, but it's still worth it! Great flavor. A wonderful purchase and great quality liquid smoke. It's great for making smokey BBQ sauce and has a great easy to open and close lid. 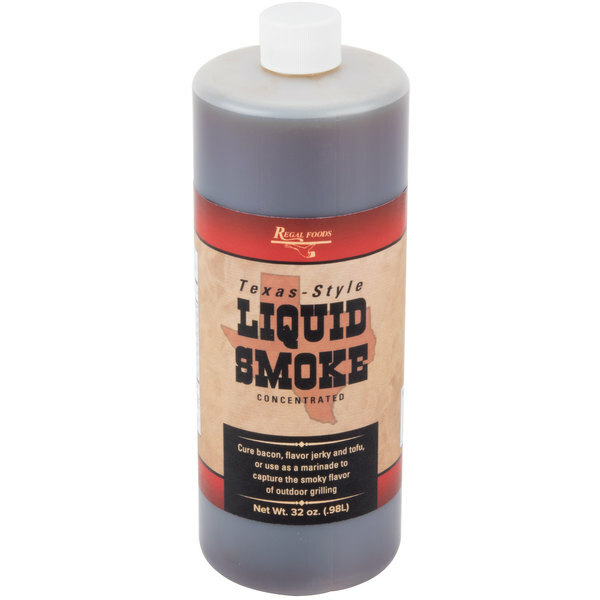 This liquid smoke is exactly the type of product we were looking for! Works great and the smell is not too strong, just right. Great price too! This liquid smoke was fantastic for one of our deli salads. It has just the right amount of smoke, without tasting 'fake'. Perfect, thank you. This liquid smoke has a very nice aroma and it does not have a bitter flavor like other smoke liquid. For few drops my fried rice smells awesome!! This. Stuff. Smells. Amazing! Opening up the bottle and taking a whiff is like walking into a open pit BBQ joint. It gives that 'fresh from the grill' and 'smoked for 2 full days' taste to any dish! This is good, of course, for adding the smoke flavor. It is great for using to make your own homemade barbecue sauces. Regal foods has good products at great prices. A convenient and cost effective way to ramp up the BBQ flavor. I use this product in marinades, meat brine's and in the chili. Best price on the market and has a convenient shelf life. Amazing product! It worked like a charm. I used it for a week at a BBQ and everyone loved this product. Great Job Regal Foods! 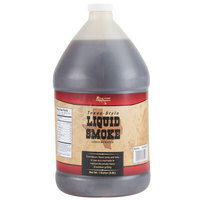 I absolutely love liquid smoke! I use it every now and then to add some smokey flavor to meat. It's not overpowering and gives just enough of a wow factor!